4WD, Bluetooth, Back up Camera, Heated Seats, Moonroof! AWD, 5DR, EX 2016 Honda HR-V’s are highly sought after thanks to Hondas legendary reputation for durability, quality, and reliability. This one can be found in Abbotsford, it’s a local BC vehicle with no accidents, only a glass claim. All wheel drive compact SUV. Fuel efficient. Well equipped with Bluetooth, back up camera, blind spot watch, power sunroof, dual zone auto climate control, smart key access, heated seats, alloy wheels. This 4WD SUV is coming with Eco Assist System, Air Conditioning, Cruise Control, Tilt Steering, Power Windows, Power Door Locks, Power Mirrors, Floor Mats, Alloy Wheels, Remote Keyless Entry, Heated Seats, Push Button Start, Rear Spoiler, Sunroof, Fog Lights, Heated Windshield Button, and more features. It's also equipped with the following Honda Sensing Technologies: VSA, LaneWatch. This vehicle has a seating capacity of 5 persons to accommodate the entire family. As Safety Features, this SUV is equipped with: Dual Airbags (SIR), Side Airbags, Side Curtain Airbags, and Anti-Lock Brakes / VSA. For security and peace of mind, it comes with an Anti-Theft Device. Come view our inventory of pre owned Cars, SUVs and Vans. We don’t charge documentation fees. We provide a free Carfax vehicle report and a 90 Day 3000km Warranty on all our vehicles. Call us at 604 854 3737. We service all of the lower mainland and greater Vancouver area. We are located right beside TD bank on Gladwin and South Fraser Way across the Seven Oaks mall. We have a non-commissioned sales staff. 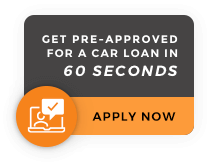 Our professional financial services, make it very easy to finance a car and apply for loan. $0 Down Financing (O.A.C.) Same Day Approval- Financing Made Easy! - Other great extended warranty plans available. AWD, 5DR, EX 2016 Honda HR-V’s are highly sought after thanks to Hondas legendary reputation for durability, quality, and reliability. This one can be found in Abbotsford, it’s a local BC vehicle with no accidents, only a glass claim. All wheel drive compact SUV.